There seems to have been a near-endless supply of early-progressive rock bands like Czar hopping around in Britain both sides of the sixties/seventies borderline, bands that pitted electric guitar against organ and occasional Mellotron, hoary blues-based rock riffs against rudimentary classical licks recalled from piano lessons or the family record collection, in an effort to stretch the rock idiom beyond the three-chords, four-square-beat boundaries. Czar's sole effort is not the most glorious of this lot, as the band lack the depth and skills that the best bands had. 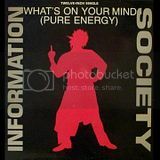 Most of these songs are drawn-out but structurally pretty ordinary rock tunes where thudding drums splash in muddy puddles of scratchy guitar riffs under a clear blue Mellotron sky. It is the beauty of the Mellotron work that often makes the difference, e.g. the gothic main riff of "Tread Softly on My Dreams" which stands in stark contrast to the vocal hooks that are leftovers from second-division sixties pop. "Cecelia" features a nice if predictable swathe of acoustic guitar and harpsichord, but is ruined by a turgid guitar solo backed by monotonously grungy riffing. 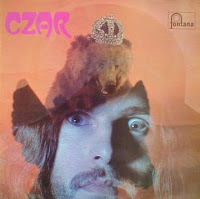 Overplaying their hand with weak cards is Czar's basic failing, worst example being the psychedelic organ work of "A Day in September", which cycles through cliches with minimum authority and even manages to squeeze in that requisite circus motif before the fade-out. It is not hopeless, but other bands were turning out much better product out of the same basic material at the time, and I suggest trying some of them before delving into this Siberian basement to discover Czar's musical legacy. Thanks stavros666999 for this one ! Are you sure that Czar is UK band? I know that they are from Australia (information from original lp). for his/her surely disbanded ears. wow! been looking for this. thx! V.A. - "Not Of This Earth"
I have been sick..I am better now.